“I have lost my Windows password, what am I to do?. ” I have tried many recovery tools, but none of them seem to reset my Windows password. What next?” If you are one of them who are wasting their time in online forums and conferences in this manner to seek out perfect password recovery ways for your Windows system, then your search is over. Here in this article, we would be discussing 3 amazing ways which would undoubtedly resolve your issue of forgotten Window 10 login password in few moments without any hassle. Passwords are as much important for your system as your confidential files are and your computer is a gigantic hub of countless confidential files and documents which serve you in ways more than you can imagine. Thus losing the direct access all such data is really a great disaster for a daily computer user. But don’t worry the simple and efficient methods described below are really going to help you get over your issue even with your little technical expertise. Continue reading to know how to reset your Windows password with the usage of 2 simple tools. Commonly known as chntpw, Offline NT Password has got a remarkable rapport in the internet market for its outstanding performance as a Windows Password resetting tool. It removes nearly all kinds of passwords, be it admin account, root account, local user account, etc. It runs with almost every version of Windows, namely XP/ 7/ 8/ 8.1. Step 1. Download the setup file off the official website directly and create a password reset drive by burning the ISO image files using a spare functional computer. Step 2. 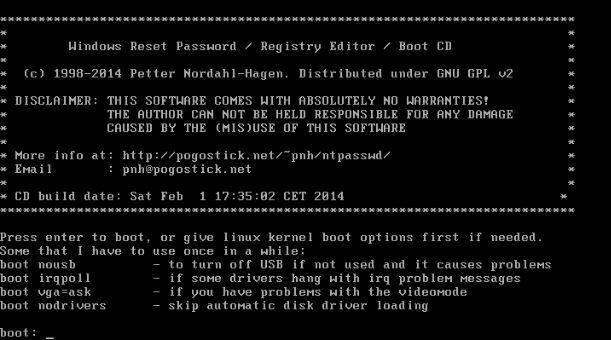 Now conjoin the loaded bootable disk to your locked PC, and boot from the disk containing the offline NT password program file. The screen would somewhat look like this. Step 3. Press “1” to choose the disk location which has got the OS installed from the partitions of the drive with numbers and press “Enter” from a keyboard. Step 4. Input “1” to choose the part of the registry to be loaded and press “Enter”. Step 5. Once the main UI screen appears, press 1 once more and hit “Enter”. Step 6. Next, you have got to select the locked user profile and press “Enter” to continue. Step 7. Press “1” key and as soon as the password is cleared press “q” key from the keyboard to close the program. Step 8. Finally, enter “y” to write the changes and reboot your computer. It will take moment before you can actually enter your system again without any password prompt. Offline NT password is a text-based program which makes it a bit inconvenient. The process is very complicated for the users who are new to using password removing tools. 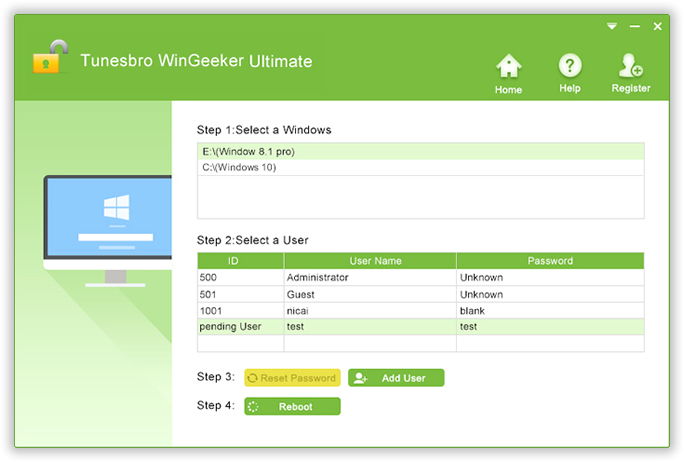 If you seriously wish to take a leap of progress with your password recovery process, then TunesBro WinGeeker Ultimate would be the best choice to head on with. It not only saves your system from re-installing the OS but prevents any loss of data from your computer, it completely bypasses the lock screen thereby removing the password prompt feature altogether. All that you need to have is a working computer, a bootable pen drive or CD/DVD and the program file itself to make it all functional. It protects your PC from losing any saved data while the activity proceeds. TunesBro WinGeeker Ultimate is comfortable with almost all types of laptops brands, such as Dell, Toshiba, Lenovo, HP, Acer, etc. It removes all types of account passwords, be it admin accounts, domain accounts, root accounts, etc. It supports all types of Windows OS Versions, such as Windows XP/ 7/ 8/ 10. Step 1. Get the WinGeeker downloaded on a working computer and installed with correct installation procedures. Step 2. Plug in the empty drive and click on “Burn USB” or “Burn CD/DVD” as per the drive choice. It will automatically start burning the ISO image files. Once completed, you will be notified with a notification of “Burning Successfully!”. Click “Ok” to finish the process. Step 3. Eject the password reset disk and re-insert it into the recently locked computer. 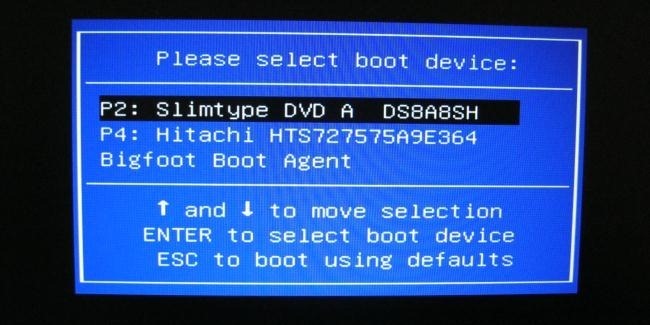 Change the boot order if required from the BIOS utility settings to set the inserted drive as the priority device. Step 4. Now choose your locked user profile and click on “Reset Password” and “Reboot” buttons one after and another. Your system will take a restart to apply for the changes and once it’s done you will be able to access your previously locked account without any password prompt. 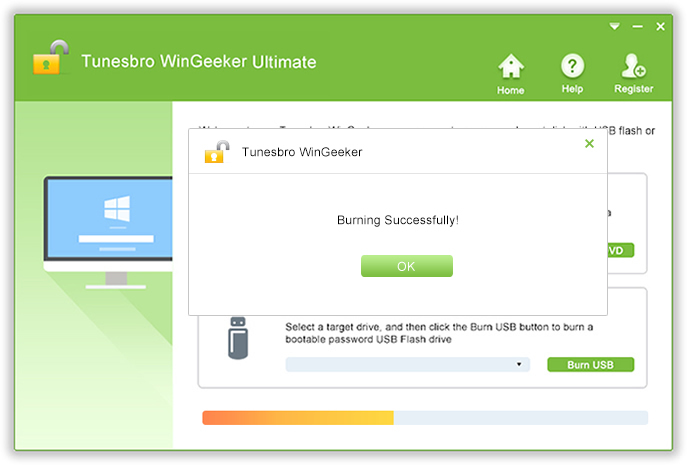 The clear-cut conclusion that you can draw out of the aforementioned methods in the article is that TunesBro WinGeeker Ultimate is the only password removal tool that you can put to use for a promising output. It has been tested and verified with many brands of computers and laptops, so you can relax with the security assurance of the tool. It has served by now millions of users across the globe with its phenomenal functionality, so it would be better if you go for it on forgetting your admin account password rather than pecking your head in vain with other tools which always have got some downside. If you are satisfied with the above article, feel free to visit our website for more such relevant articles.